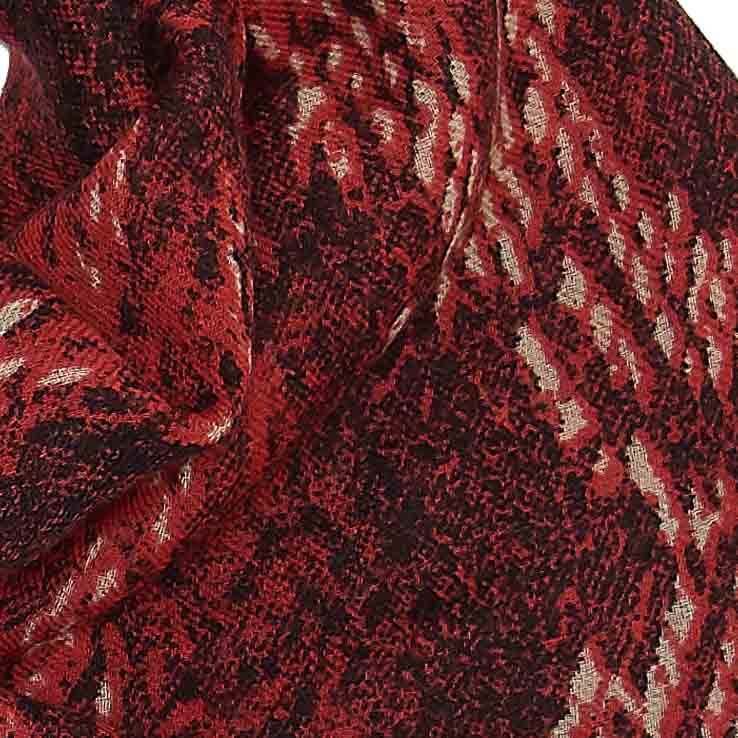 This red snakeskin wool scarf is the perfect accessory to bring all your outfits up to date by embracing this season’s trend for animal print. 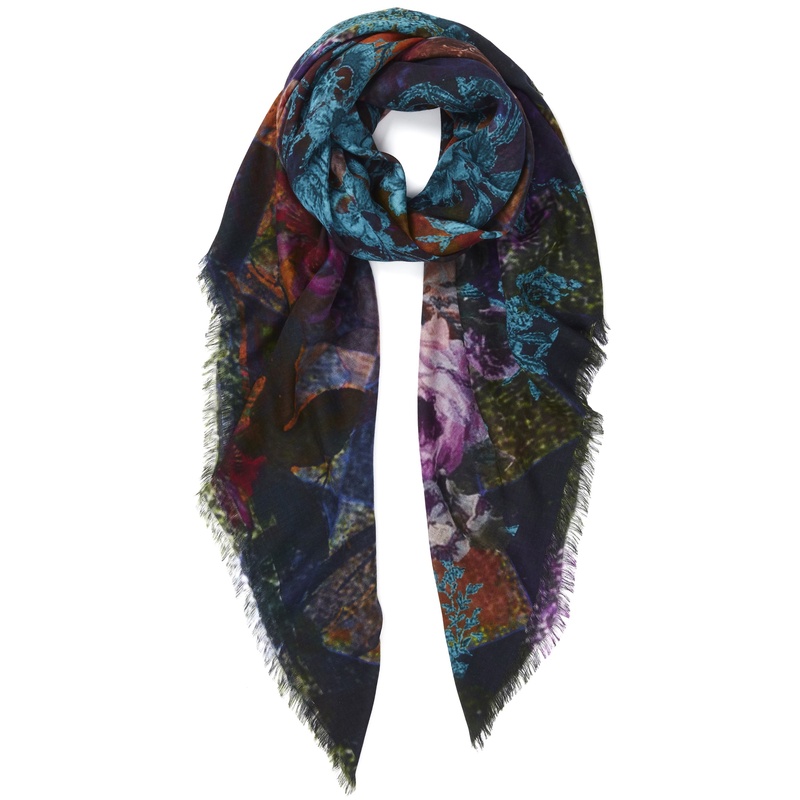 The scarf is both long and wide so great to giving you lots of styling options. 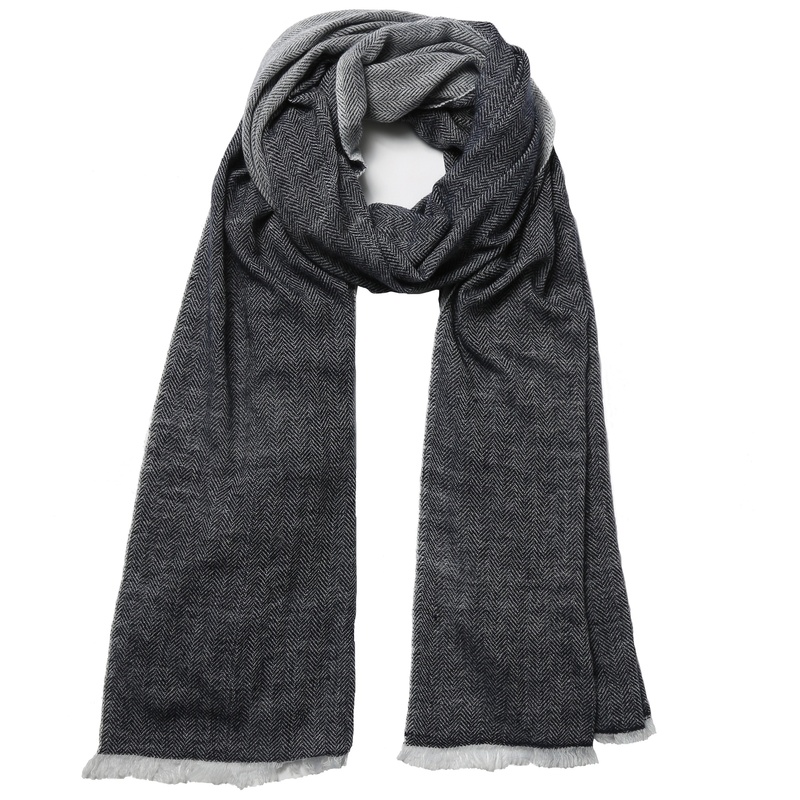 It is also made from a soft lightweight wool so can be worn both indoors and out. 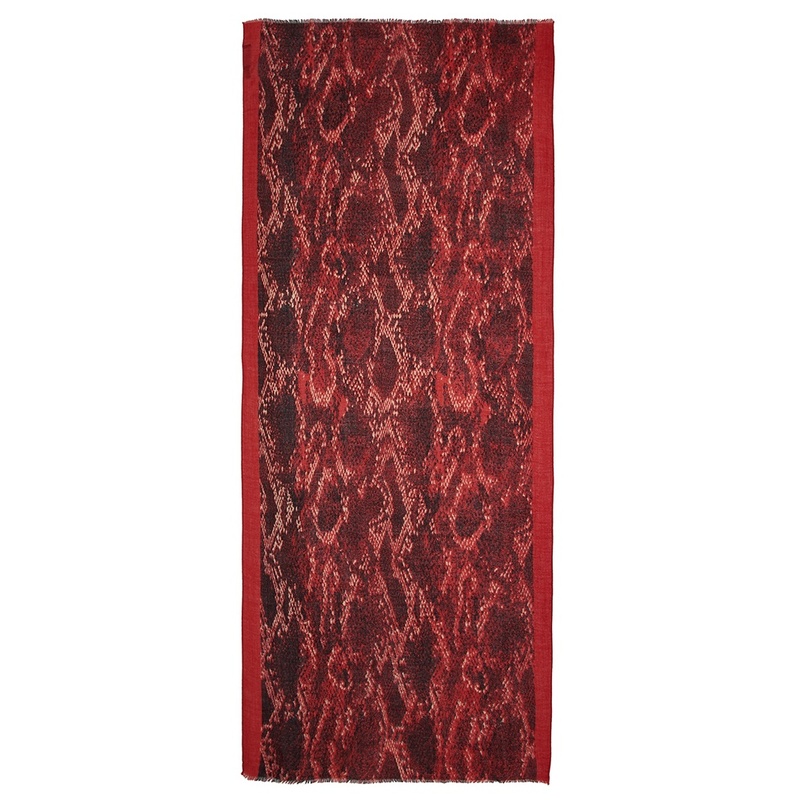 This red snakeskin wool scarf would make a great present and it is made exclusively for Cleverlywrapped so not available elsewhere. 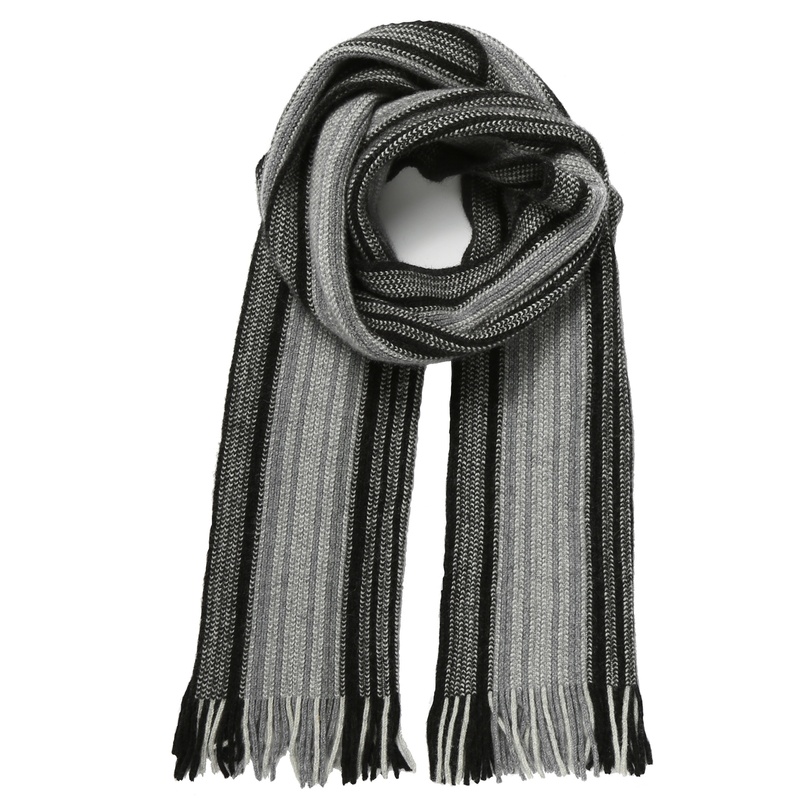 The scarf is also available in khaki and blue. Cleverlywrapped has now been in business for four years and as the company grows it is our mission to design and produce more own brand scarves that are exclusive to us and that are excellent quality at an affordable price point. 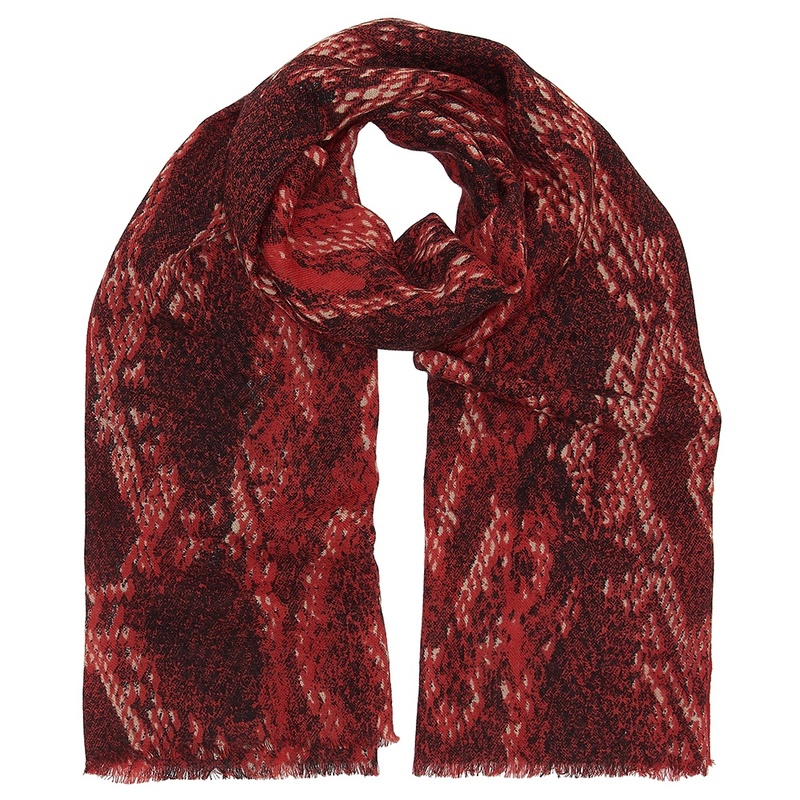 This red snakeskin scarf is a good example of exactly what we are aiming at.